繼導航機出租之後, 不知道無人空拍機出租有沒有搞頭? - 討論-其他 - 歐洲自助旅行充電站 - Powered by Discuz!
. E7 i+ s- N7 P基本上就是野外無人管(整個台北市也幾乎不能飛), 小台的不用許可IOW. 不能飛太高(直升機的安全飛行高度好像是三百米以上). 機場附近不能飛. 6 Z6 a9 q. T* k- ? My reply was regarding the license. 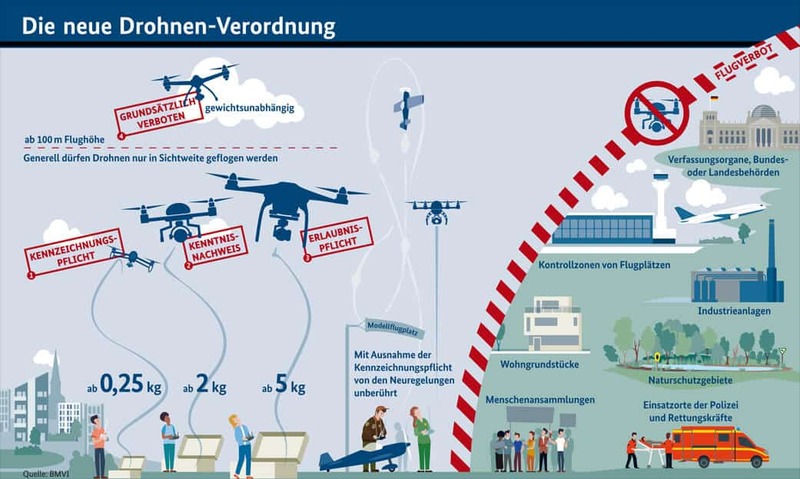 OK, to avoid a misunderstanding, these are the drone flying rules in a nutshell in Germany:5 d7 C9 T5 I" g& b5 z. ? 3 g7 ~) a1 q2 @$ N1) all drones are limited to 100 m in Germany, regardless of their weight and flying must be line of sight4 K6 ]8 O6 o+ s/ [/ \7 ? ; q6 u7 F) e, r/ w( M, I6) no-fly zones now also include gatherings of people, where Police and firefighters are currently in action, sensitive/confidential areas used by the authorities, industry areas, prisons, natural reserves and of course in or near airports. : k; @' D w6 u$ [ H+ N& SWith all of these tough restrictions, I wonder where a drone pilot can still fly a drone in Germany? GMT+8, 2019-4-24 11:57 , Processed in 0.154010 second(s), 23 queries .